There was an interesting article in the Globe recently about a couple who had bought a property in a 20 year old building with low maintenance fees only to find out a few years later that the fees had been kept low because management wasn’t making the necessary repairs. Turns out their $400 maintenance fees doubled to cover the additional expenses. 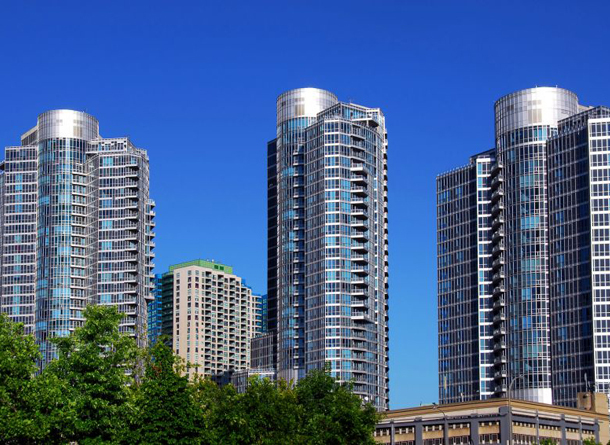 It got me thinking about maintenance fees and how they impact a condo purchase. It’s easy to be seduced by low maintenance fees, especially when it comes to new builds. First time buyers are always looking to keep their carrying costs as low as possible. It sounds good at the time, but low maintenance fees never stay that way, they always go up. One reason maintenance fees in new builds are low is that the condo corporation hasn’t had to deal with big costs incurred by necessary repairs. However, with every building, there is a maintenance schedule that needs to be followed. With every maintenance fee that’s paid, part goes toward a reserve fund to cover large capital expenses. Older buildings often get a bad rap because they have higher maintenance fees, but that isn’t always the case. There are larger older buildings that have been able to keep their fees relatively low. The ones that haven’t usually have good reasons as to why. It’s either got to do with the size of the building, the cost of utilities and if they are included in the fees for each unit or they are separately metered. One interesting fact is that regulations for condo buildings built in the 70s and 80s weren’t in place or as heavily enforced as they are now. Many got away with pushing maintenance into the future and had very little to no reserve fund, so now they are having to catch up. So while the monthly maintenance may seem high, it’s likely that a good portion of it is going to build a reserve fund. The new regulations and legislation regarding condo corporations (or the Act) will mean that the finances are more transparent and that buildings won’t be able to push repairs into the future to keep maintenance fees low. A good gauge for maintenance fees is 60 to 80 cents a square foot, but you also have to take into account what those fees include; hydro, amenities, parking, locker etc. 1: A building with many units will usually have lower maintenance costs per square foot than a condo with only a few units. The more units a building has, the more the maintenance costs are spread out. For instance, I’ve listed a condo-townhouse at 390 Wellesley St. East which is almost 2400 square feet and the maintenance fees are $928/month; that’s about 40 cents/sf which in Toronto’s standards is very low. It’s a very private and small complex in Cabbagetown with about 20 townhouses, so everybody’s share is relatively high. 2: Fewer amenities: if you want a building with a concierge, a theatre room and a pool, these all cost money to keep them going and your maintenance fees are helping to cover them. If the condo is ‘no frills’, the maintenance fees will be lower. People have always felt that the maintenance fees at Radio City are higher than comparable buildings – and they are! However, Radio City is on a big piece of land with a huge garage, and the two towers each have their own concierge and elevators. If it were being built today, a developer would likely plan three towers that were 50 storeys high. This would mean many more units, less parking and probably only one concierge, resulting in lower maintenance fees. It comes down to the nature of the development and one pays for the exclusivity and space. If you’re considering buying a condo where the maintenance fees are relatively high, it’s also not necessarily a sign of mismanagement. They could be troubleshooting for potential issues that come up in the future. Or if it’s an older building, chances are they have more amenities such as an indoor pool, which is expensive. Very few buildings now have pools. If they do, they’re outdoor. It’s important to point out that thinking only of low maintenance fees can be short-sighted. We do live in a disposable society thinking is often short-term, but knowing the condo corporation has funds in place to deal with things in the future allows for comfort and peace of mind. It means that the chances of a special assessment or extra cost burdens on residents is less likely because the maintenance fees are being dealt with in a responsible way. When it comes to buying a condo, you have to weigh the pros and cons of everything. There is a lot to consider and maintenance fees are just a small part of it!